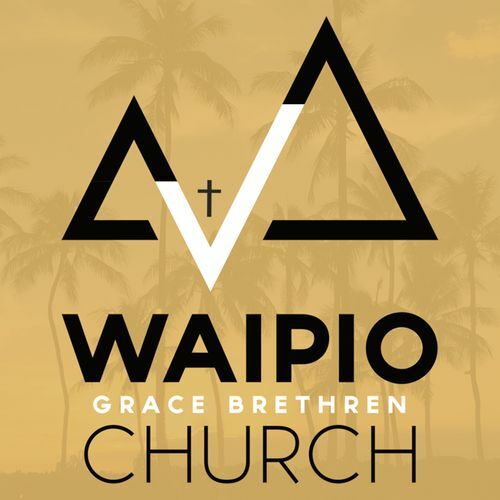 Waipio GBC is a place where people can be a part of the family of God as we worship Jesus. Our desire is to worship Him in truth, learn truth from the Scriptures, and encourage one another to live lives that are obedient to God as told in His written word.. Join us for our Sunday and Wednesday services! Thinking of Visiting? We know it can be a scary experience walking into a new place where you may not know anyone. We also understand the anxiety that going to a church for the first time might bring. Our desire is that your experience with us is stress free and welcoming. Below, we have listed some of the more 'frequently asked questions' we get from new visitors to WGBC. If you have any others, please feel free to call the church office or email us. Whatever is most comfortable for you. We desire to be dressed modestly and in purity before the Lord in His house, yet we do not regulate a certain style of dress. Our church is open to the elements, thus it can get warm on a hot day. We recommend wearing something casual and light, keeping in mind a level of modesty and courtesy. Some people come to church in shorts and a t-shirt, while others dress in business casual. We like to recognize those who may be visiting WGBC, so we may ask by a show of hands who may be visiting for the first time. You may be asked where you are visiting from, but that's it! We want you to feel comfortable. We would like to give you a lei so that people can make sure and introduce themselves to you. But that is completely up to you. When you come, you can feel free to sit back and enjoy the service. We try our best to make sure that the first faces you see are smiling ones. We have greeters at the doors who will be happy to give you a quick tour, help you check your kids into their classrooms, and help you find your way to a seat in the sanctuary if needed. • There is a nursery to meet the needs of those who have infants and very young children. • We have Children’s Church during the Sunday Morning Service (10:45 AM) after we worship corporately with the entire family. • There is child care for young children during our Sunday evening service (6:00 PM). • You are also welcomed to have your children sit in the sanctuary with you so long as they are not disruptive to others who are learning. What about jr. highers and teens? The vision of the youth group at WGBC is to teach and practice the Word of God in our hearts and lives. We want to reinforce Godly values, investigate the truths of scripture, spread the gospel and have fun in the Lord! We meet from 6:30-8:00 on Wednesday nights and also during our main service on Sunday morning. We encourage any junior high or high school aged youth to come out and some fun and fellowship that will bring glory to the Lord. We receive an offering during our Sunday morning service from any who would like to give as an act of worship unto the Lord. This is important as we should obey the Lord in His direction to us as individuals. But we also believe that giving should never be out of necessity. Therefore, we encourage you do what God directs you to do. 1. A time of worship where the Lord is exalted and glorified. 2. A time of study in God’s Word and an exhortation to be obedient to that which we learned. 3. A time of fellowship in order to encourage and be encouraged by others who are pursuing to know and follow Jesus. This is the true mark of those who are a part of the body of Christ.